sobi aims to close the loop in the textile industry by turning unwanted clothing and textile waste into a resource. 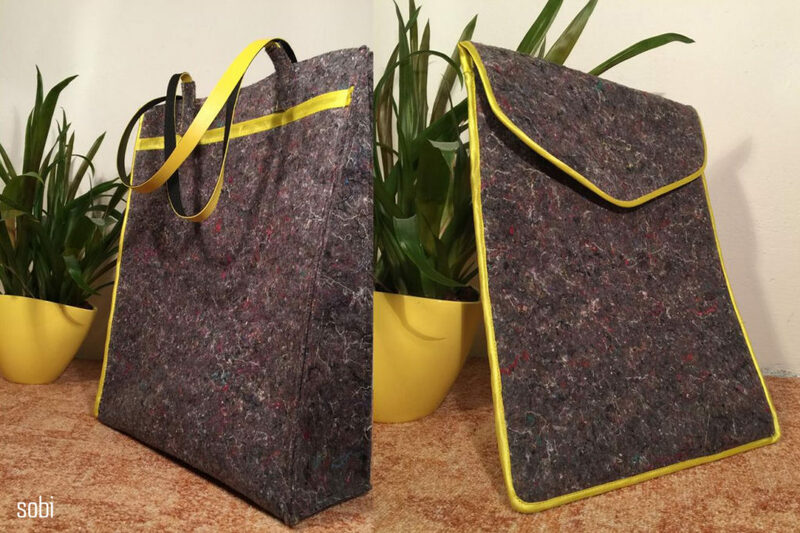 By partnering with charity warehouses, NGOs and retailers, the project aims to help them reintroduce old clothing as new-brand products made of recycled non-woven fabric, by processing all the textile waste, even destroyed clothing and blended fibres textiles that are the most challenging for the circular economy. Through their new products, sobi seeks to raise awareness about new eco-social possibilities, responsible consumption and production, while employing vulnerable groups in social workshops and green jobs. 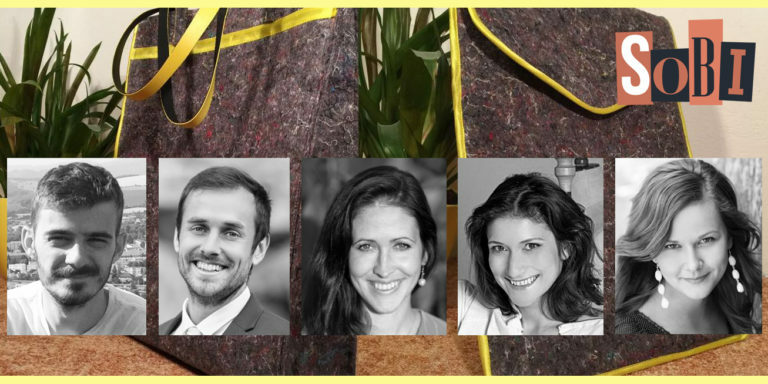 Founded in 2017 by Tomáš Horváth (international project management and PR), Alena Horváthová (international project and marketing management) and Martin Malina (professional graphic and web design),sobi aims to create innovative projects with a social and ecological dimension by delivering well designed products from recycled materials. The products are designed by Mária Štraneková (allias mayamay), who is considered a pioneer of recycled fashion in Slovakia, while Terézia Mináriková is the creative team developer. Caritas Trnava (TTADCH) focuses on providing social services, counselling and assistance to vulnerable and marginalised groups, communities and individuals. TTADCH has established social centres, workshops, and specialised formal and informal community facilities. On 2016, it launched the social workshop of Saint Helena in order to provide a space for people that are struggling in life but are seeking self-realisation. We consume 80 billion articles of clothing per year, purchasing 400% more clothing than we did 20 years ago. The average lifetime of a piece of clothing is about 3 years, then it becomes either not wearable, not fashionable, loses its colour or we find other reasons why not to wear it anymore. Fashion business is the 2nd dirtiest industry in the world, creating globally 1,3 billion tons of general waste each year. Only 0.1% of donated or returned garments are recycled into new textile fibres and most pieces of clothing will end up in the landfills where they pollute and create an unsanitary environment. However, up to 95% of those textiles could be recycled! Our project aims to speak about these facts by delivering eco-social solutions and offering positive behavioural changes. The idea behind sobi was born last year and developed thanks to a newly created team of experts and project partners. We found the open call and saw OpenMaker as a great opportunity to launch our project, which already made its first steps! Moreover, our project is directly contributing to the OpenMaker goals, providing an innovative product while connecting socially excluded groups to relevant technologies. To inspire people as much as possible! We want to spread awareness about social and ecological issues, by helping people in need in an effective way, by protecting the planet through the promotion of recycling and responsible behaviour and by launching marketing and sales campaigns in different markets. 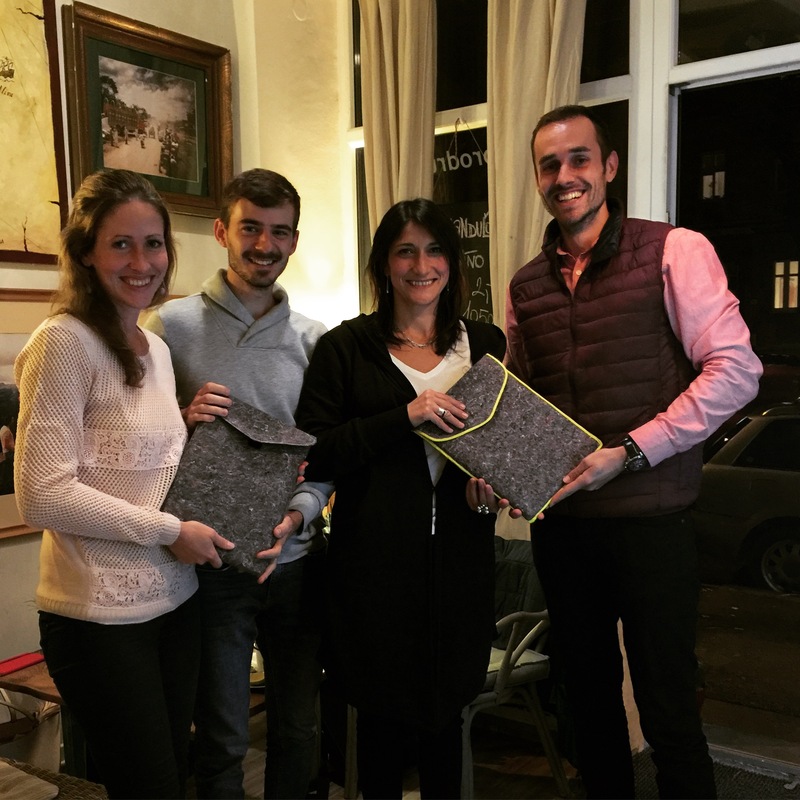 People can join us in different ways, by buying eco-social products or simply by getting inspired and embracing the eco-social values in their own professional and personal life. We see great potential in a closer collaboration between makers and manufacturers. For instance, we notice that those manufacturers who are interested in creating social value or providing jobs for socially disadvantaged people, often deliver products with poor quality and design. How does the OpenMaker experience fit into your longer-term plans? "Through innovation to solidary future!" The platform is well designed. We see in it a great opportunity for networking, consulting, gaining visibility and seeking financial help, which are all important elements to launch the project. We identify with the idea behind OpenMaker. We want to develop more partnerships during the coming year in order to scale the impact of our project and offer suitable solutions to more companies. Finally, as part of the maker movement, any funny story you'd like to share with us? Our team member made a vlog about sustainable marketing. My brother and I (Tomas), have a Master degree in marketing but don’t remember anyone mentioning it once during our studies … there’s always room to learn! If you have no idea what I am talking about, please watch: https://www.youtube.com/watch?v=W7b5mKd6MNI.